Highly elastic envelope structure holds articles securely and conveniently in place. 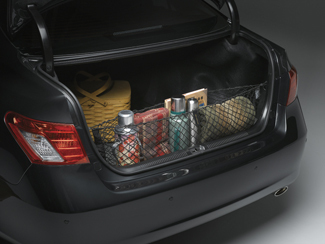 Easy, fast installation, using the cargo area's built-in anchors. Easy to store when not in use..